The Austrian novelist Stefan Zweig spoke at Freud’s funeral, and seeing the 1948 Max Ophuls film based on the Zweig novella, Letter from an Unknown Woman , it is easy to see why. Novelist and self-professed Freud aficionado Tom McCarthy, author of Remainder and C , which was short-listed for this past year’s Man Booker Prize, talked about the film after a recent screening at the Philocetes Center. “We move to a certain pace, which is set a long time before we step into the dance,” he said, describing the inevitability and determinism that haunts the film. In Remainder, McCarthy describes a factitious house that is very much like the world of the film, one in which what appears to be reality is simply play-acting. 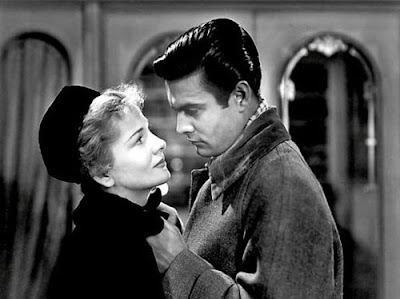 In Letter from an Unknown Woman, the Joan Fontaine character’s obsession with her counterpart, played by Louis Jourdain, is totally unreciprocated. There was much discussion between McCarthy and members of the audience about the film being a love story, but how can you call something in which a woman bears the child of a man she is enchanted by but who practically doesn’t know she exists a story of love? Under the guise of a Hollywood romance, the movie champions something far more frightening and perverse. Freud once described analysis as a train ride, with associations and memories as the scenery viewed through the window. One of the most dramatic and disturbing scenes of the film takes place in a funhouse setting, where ersatz versions of major cities are produced by a diorama. The scene evokes Kierkegaard’s maxim “subjectivity is truth.” A touching sidebar is that the love object is a failed artist, a concert pianist. One would hope that love might conquer all, and that the muse the handsome young artist fails to recognize would provide the missing piece of the puzzle, but that is plainly not the case either.